"30381 redirects here. For the part, with Design ID 30381, see Part:30381. 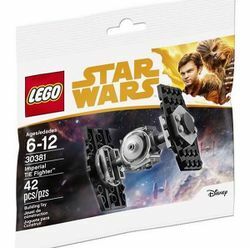 30381 Imperial TIE Fighter is a Star Wars set released in 2018. Facts about "30381 Imperial TIE Fighter"
This page was last edited on 26 January 2019, at 18:20.